Lebron James holds his custom-made Dora The Explorer backpack. Nickelodeon unveiled 12 custom-made backpacks today in the world-famous windows of Macy?s Herald Square in New York City. The backpacks were personally designed and signed for authenticity by each respective celebrity. 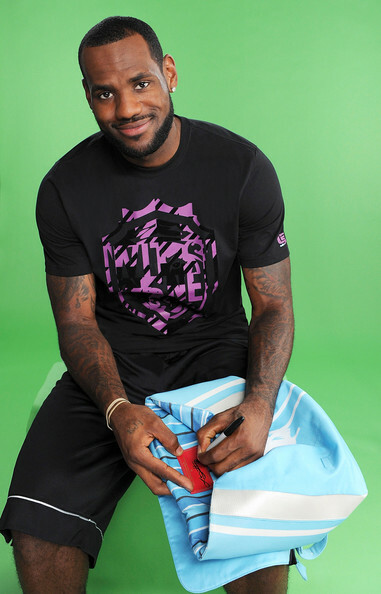 LeBron James photo from July 12, 2010 in New York City. LeBron has extensive tattoos and design ideas for anyone looking to get inked. Among his collection are full sleeves on both arms.